SKU: Cypher VRS. Categories: Asylum Research, Atomic Force Microscopy. 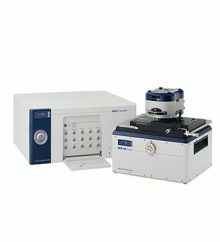 Finally, researchers can measure nanoscale dynamic processes at video-rate speeds with all the resolution, versatility and ease of use that are hallmarks of an Asylum Research Cypher™ AFM. Scan at up to 625 lines per second, about 300× faster than normal AFMs and at least 10× faster than current “fast scanning” AFMs. Capture images at high pixel density (512×512) in just over a second, or reduce scan lines to achieve video rates >10 fps. 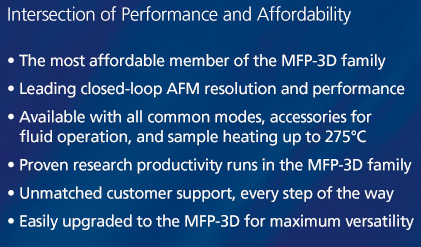 Same fast, consistent high resolution imaging as the rest of the Cypher family. 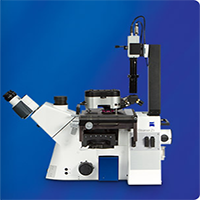 Maintains high resolution even on soft and loosely bound biological samples. 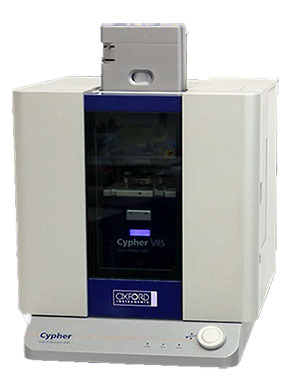 Scanner is extremely robust and fully sealed against liquid spills for complete reliability. Probes are easily loaded and clamped in place, just like a regular Cypher probe holder. Probe holder is available with or without perfusion ports for liquid exchange. 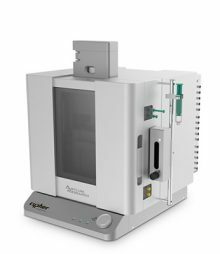 Easy sample mounting with no extreme limits on the maximum sample size. Motorized laser and detector alignment makes quick work of instrument setup. All imaging controls are accessed though a simple software user interface. Powerful built-in movie maker generates spectacular publication-quality results.